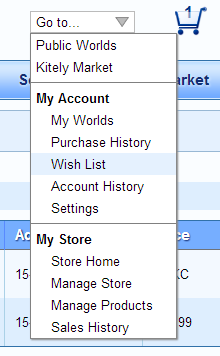 We updated Kitely Market today with several features and bug fixes. 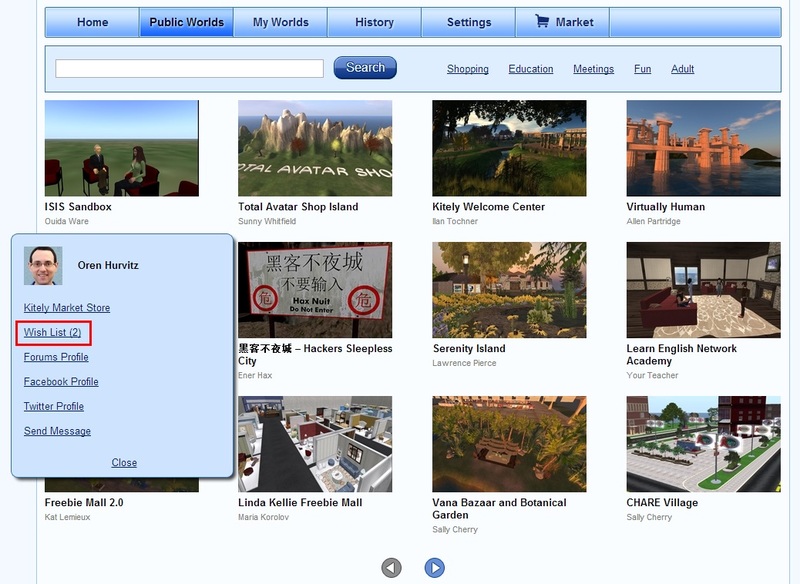 The new features include public and private wish lists, the ability to buy gifts for other users, and more. It is now possible to buy products in Kitely Market for other people. To do so, first add the product to the shopping cart as usual, and then in the cart select the delivery type “Gift”. You can choose the avatar that will receive the gift in one of two ways. First, you can type in their name. The text box uses AutoComplete to make it easy to find the avatar that you’re looking for. Second, the “Recent” list contains avatars that you’ve given gifts to in the past, and avatars to whom you sent IM’s (but only from the website; not in-world). When you buy a gift for someone, a transaction record appears in three users’ histories: the Buyer, the Receiver and the Seller. All three users also get email notifications. Please note that our Gift feature works a little differently from the gift feature in Second Life Marketplace. In Second Life Marketplace you can add several products to your shopping cart, and give each product to a different user. 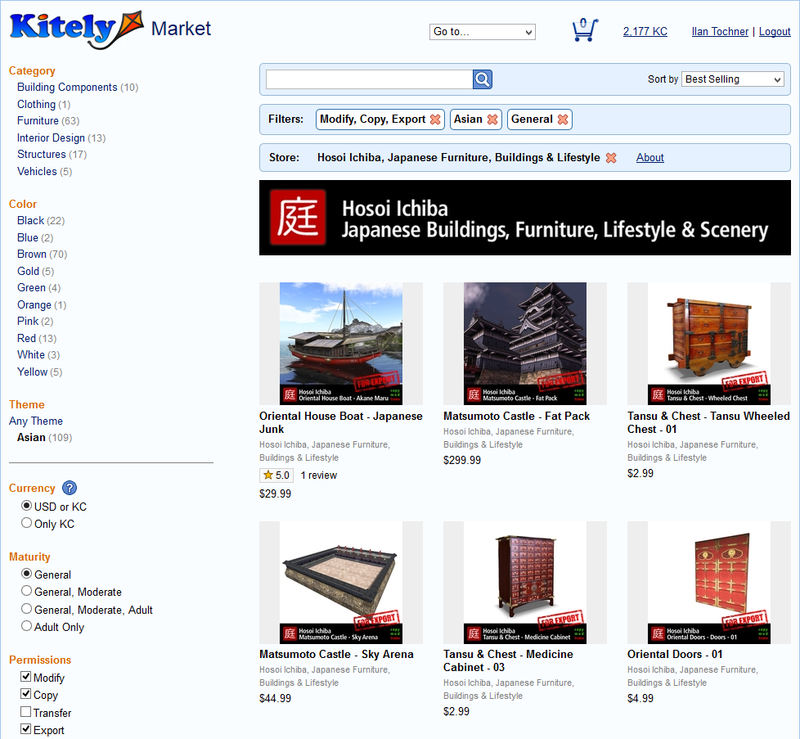 But in Kitely Market the entire contents of the cart are always delivered to a single user. We chose this system because it’s simpler to use; this ease-of-use will be particularly important once we start delivering to avatars on other grids. A Wish List contains items that you’d like to own. You now have two Wish Lists: a Public list and a Private list. The public wish list can be viewed by anyone, but the private wish list can only be viewed by you. To add an item to one of your Wish Lists, click on the “Add to Wish List” button. Next, here’s what your Wish List looks like when other people view it. Notice that they only see your Public Wish List (and not your Private Wish List), and also that they have the option to buy these items for themselves or have them delivered to you as gifts. We are about to start transferring money in USD to merchants. In order to make it easier for merchants to keep track of the payouts that they’ve received (and the payouts that they will receive in the future), we now show the list of past and future payouts. 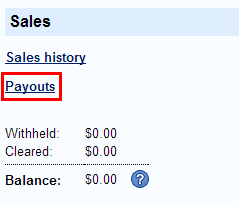 In the Manage Store page we added a link to the Payouts page. That page contains a list of payouts that you’ve already received, as well as the Withheld and Cleared purchases (which will be included in future payouts). We’ve heard from our users that sometimes creating product descriptions is difficult because when copying text from other sources the text retains its formatting, which makes it appear wrong and also eats up the character limit (5000 characters) more quickly than plain text would. To fix this, we changed the text editors in Kitely Market so that pasting text always removes the text’s formatting, converting everything to plain-text. Note that you can still rearrange formatted text that’s already inside the editor, by selecting the text and dragging it with the mouse to the desired location. 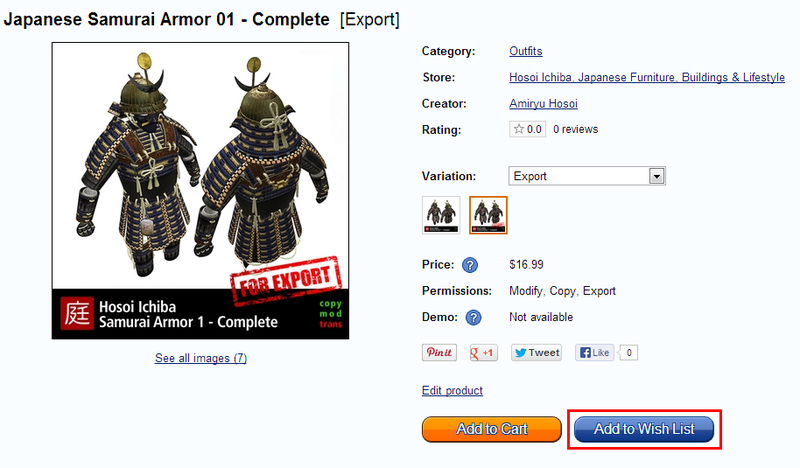 We’ve also heard that when uploading multiple product pictures at once the order of the pictures is sometimes wrong. So now when you upload multiple files at once we sort them alphabetically before adding them to the product. (This post was updated on October 24, 2014 to reflect the changes that were announced here: Kitely Market to Support High Fidelity). 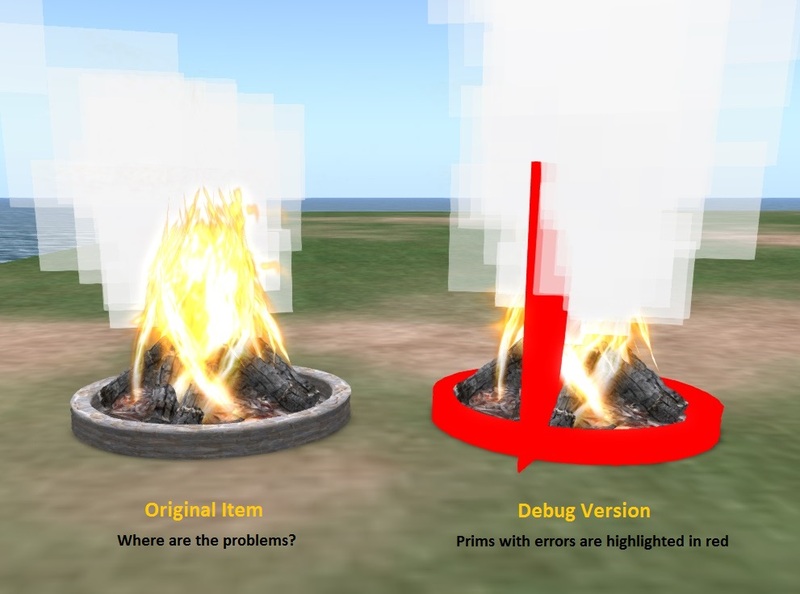 Are you a content creator in Second Life who’s concerned about the latest TOS changes? Are you worried about what will happen to your content? If so, then have we got a deal for you! You can now use Kitely to create a perfect backup of your content so that you’ll never be at anyone’s mercy again. What does this mean? Well, you probably feel that due to Second Life’s new policies you’re losing control over your content. You want to reclaim control, which means first of all that you have your own copy of your content on your hard disk. In addition, you want to have the flexibility to move this content wherever you want: to any grid, with any company, or even just for your own personal use. Here’s what we’re offering: copy your content to Kitely, and we will give you full control over it. You’ll get a full, perfect copy of your objects and assets on your hard disk. Having your own personal copy of this data means that no company will ever be able to hold your content hostage again. Upload your content to Kitely and add it to Kitely Market. Use our Content Analyzer to fix problems. Export the content to another grid or to your hard disk. To be clear, you don’t have to make your content available for purchase on Kitely Market. You can keep selling only on the Second Life Marketplace, while making your products in Kitely Market Inactive, which means that you’re the only one who will see them. The reason Kitely Market is involved in this process at all is that it contains two powerful features: first, the Content Analyzer which allows you to find and fix problems; and second, Kitely Market can be used to deliver your content to other grids. You may have heard that Kitely uses per-minute charges, and you’re wondering if it’s really free. We do have such charges in some places, but not in the Kitely Merchants Sandbox. So adding content to Kitely Market costs you zero, nada, zilch. You will probably use a program such as Second Inventory or Imprudence to copy your content from Second Life to Kitely. These tools save a lot of time, but they often have some problems in the content that they create. We have an awesome tool to help you find and fix these problems: the Content Analyzer. When you add a product to Kitely Market, the Content Analyzer checks it for missing or invalid assets, and shows you what needs to be fixed. For more information, see this blog post. If you’ve been burned by Second Life then you don’t want to lock yourself into another company. Even if you think Kitely is a great company run by swell guys (we really are! ), you want to control your content. We understand, and that is why we enable you to export your content to your hard disk or have it delivered to another grid. Kitely Market can deliver content to other grids, so you’ll be able to deliver the items you list to any Hypergrid-enabled grid or even deliver to closed grids if they are properly set up. Another option is to send your items directly from your avatar to avatars on other Hypergrid-enabled grids (export controls will apply to help protect other people’s content). Finally, if you own a Kitely World, you can rez your items in that world and export it to a standard OpenSim Archive (OAR) file. You’ll be able to use that file to restore your content on any OpenSim-based grid or standalone simulator (including on your personal computer). We respect your rights and we don’t claim ownership over your creations. You retain sole copyright over your content, and the only license that you give to Kitely is to allow us to handle your content as required by the services that you choose to use. If you’re up to reading legalese, here are our terms of service; note in particular the rights that you have, which are listed in the section “Proprietary Rights”. We’ve updated our terms of service today to clarify how your content may be used. You can control the use of your content by setting the Export permission in Kitely Market. If you make a product Exportable then it can be sold to other grids, and backed-up by users. If you make a product No-Export then it can only be used in Kitely: we will not allow it to be accessed by other grids, or saved in OAR files (except by you). This last part means that if your No-Export product is used as a component in someone else’s product then that other person won’t be able to export his or her product to an OAR file unless they first remove your No-Export component. As we’ve explained, you don’t have to actually make your products available for sale in Kitely Market in order to take advantage of this offer. If you wish, you can make the products Inactive or delete them. But we hope that you will choose to make your products available for sale. If you do so then you’ll be able to sell to all Kitely users, and to users in hundreds of hypergrid-connected grids. You’ll be able to do this from a single online store, and without having to re-upload your content to each grid. You’ll even be able to sell to non-hypergrid connected grids, by exporting your products to an OAR file and then uploading it to those grids. If you want to learn more about Kitely Market then you may be interested in the presentation I gave in the OpenSim Community Conference 2013.